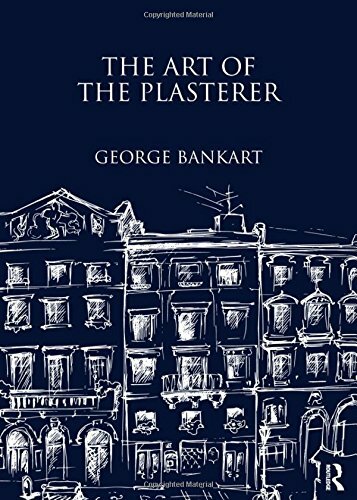 George Bankart first wrote The Art of the Plasterer in 1908. It was then re-issued, with amendments, a few years later. Now available from Donhead as a facsimile edition, this impressive, well illustrated volume offers an artistic interpretation of the way plaster was used in response to stylistic changes. Bankart was an architect inspired by the Arts & Crafts movement who cared passionately about the craft of plastering and sought to complement Millar's earlier craftsman's book by producing a volume which traced the history and art of plastering throughout the United Kingdom. It explores in detail how plaster materials and methods were developed and used, giving a fascinating insight into some of the unusual substances added to plaster. For instance, he tells us that ancient stuccos sometimes contained fig juice, curdled milk, blood or beer to make them harder. The book also contains an account of wattle and dab as well as parge-work, using practical illustrated examples to give an excellent description and record of the subject. With over 400 illustrations, comprising black and white photographs and drawings of ceilings and the profiles of mouldings, this volume will be of value to craftsmen engaged in plasterwork, conservation professionals and all architects and architectural historians with an interest in this field.